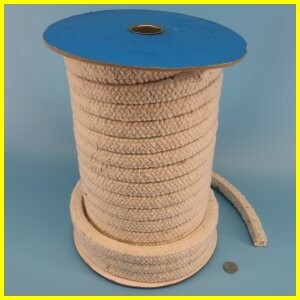 InSilMaxä is an extreme high temperature rope, heat and flame resistant silica round rope, used in almost all industries for the highest heat protection available. Produced from an extremely pure silica base fiber (SiO2) and can be used at 1800°F continuously with excursions to 3000°F / 1650°C. Applications for this product include as seals on oven, furnace and kiln doors, fireplace doors, industrial and laboratory ovens.